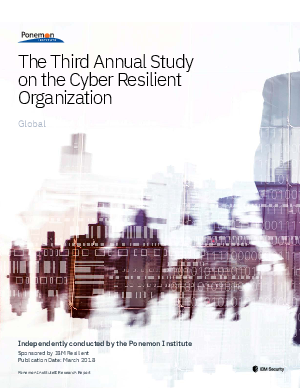 The Ponemon Institute and IBM Resilient are pleased to release the findings of the third annual study on the importance of cyber resilience for a strong security posture. The key takeaway from this year’s research is that organizations globally continue to struggle with responding to cybersecurity incidents. Lack of formal incident response plans and insufficient budgets were reported as the main causes of this challenge.